There is a great deal to love about India - its colourful people, culture, cuisine, traditions and tourism. I'm already addicted. But India also has more than its fair share of ways in which to catch newly arrived expats off balance. They call it Culture Shock. In Mumbai you may find it a Maximum Shock. So here is my guide on what to expect upon setting foot in the city. 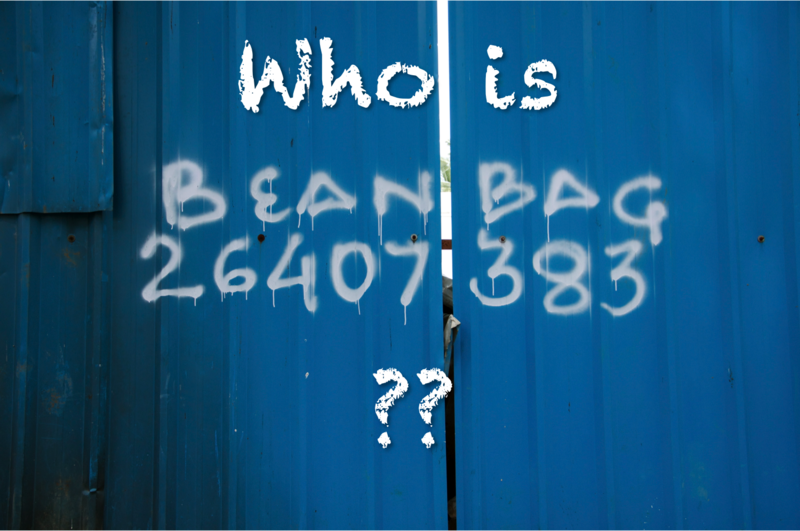 I hope some of this information covers the many questions I get asked by readers. And remember - you can't change India - so please live with it! Indian food is delicious. But you won't want to eat it all the time. Most middle class Indians certainly don't! There are a plethora of western-style restaurants and takeaways in the city - but don't ever assume that your favourite foods will be faithfully reproduced. You will find that pasta and Chinese food is generally over-sauced; the beef is in fact buffalo; mutton is in fact goat; and most dishes will either by over-salted or chilli hot. Even a cheese croissant from Costa Coffee will contain green chilli. Western cuisine is simply too bland or dry for the Indian palate. You will need to find your way to the best restaurants in the city in order to find true authenticity (and even then you may find things to complain about). But don't worry - you'll soon get used to it! You can buy a lot of foreign foods at places such as Godrej's Nature's Basket, Pali market or Hypercity. But you may have to go to several locations to track down your favourite foods. For example, in any given week, I will go to Sante's on Pali market for my ham and bacon; Choice across the street for my Cheddar, sour cream and Heinz Baked Beans; to the Trident in BKC for the only English style sausages I have managed to find in Mumbai; to the deli at the Grand Hyatt in Santacruz for my chicken & mushroom pies and Philadelphia cream cheese (and smoked salmon if I'm feeling flash); and Nature's Basket for a decent pot of hummus. I know I know!! If you are a vegetarian - you are going to be in heaven - fresh fruit and vegetables are available on every street corner. Of course some of you will opt for a maid/driver that does all your shopping and a cook that prepares all your Western cuisine....lucky you! Veg / Non-Veg: You will hear and see this all the time in restaurants including western-style eateries. The majority of Hindus are vegetarians so restaurants and menus tend to be classified into veg or non-veg (or 'wedge' and 'non-wedge'!) and you will be ask what category you fall in on occasion. However, eating meat is becoming very fashionable in Mumbai, even for Hindus - being the cosmopolitan city that it is. Beef: Cows are sacred in the the Hindu religion. Despite this, you will see cows walking aimlessly around the city - in amongst the traffic and on the pavements - with no-one caring for them. The selling and eating of beef in India is currently against the law. However, you will find that buffalo meat is available at such butchers as Joseph's in Bandra and that hamburgers (made of buffalo meat), are in fact all the rage in Mumbai. On the plus side, buffalo is a lot leaner than beef. On the down side, it can taste a bit 'gamey' and may require a lot of added fat to make it into a juicy patty. As for Pork and Lamb - good quality cuts are not so widely available. Mutton is what you will find in a meat curry - but it's usually goat meat. Pork is reviled by Muslims but again, you can get a good shoulder of Yorkshire pork at Joseph's. I tend to avoid Indian Pork as it is a bit tough and gamey (probably because it is boar). Chicken is widely eaten by all religions and has no offensive connotations (to my knowledge!) However - please note that unless you are eating in one of the more expensive Indian restaurants such as Copper Chimney or Caravan Serai (and hotel restaurants), chicken and mutton curry tends to come on the bone. Whilst cooking on the bone imparts a wonderful depth of flavour to Indian curry, the meat is not 'jointed' like it is in the West - instead, it is hacked at with a meat cleaver leading to uneven pieces of meat and shards of bone in the sauce. If you eat with your hands it will be easier to handle. You an email me on bombayjules@gmail.com for further tips on where to buy expat foods. The water that comes out of the tap in most apartments can be put straight into the kettle to boil for tea or straight into a pan to boil rice and pasta. It's treated but it's not potable. You must only drink and brush your teeth with water that has been filtered or bottled. Bisleri is the most common brand and only a few rupees - some people have Bisleri machines installed in their apartments although most properties have a water filter also installed. Aquafina and Himalaya are two of the many other trusted brands available (my favourite is Himalaya). In most Indian restaurants, you will be given a glass of water to have with your meal. If you can't trust the source, always ask for bottled water (until you are feeling braver). Similarly you should only eat salad or raw veg if it has been washed in sterilised or filtered water. Only eat salad at reputable restaurants (Indigo Deli, Eat-Around-the-Corner, Subway etc) or in 4/5 star hotels where it has been meticulously washed. 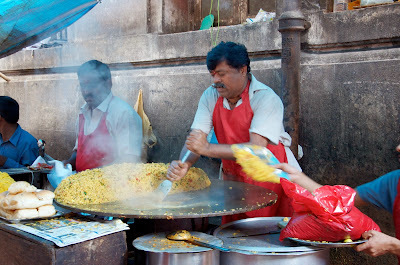 Try to avoid street food unless you can see that there is a fast turnover and it is being cooked in front of you. Hidden bacteria is present in chutneys (as they are made with water) - so if you're treating yourself to Vada Pau or Masala Dosa - do not touch the sauces! If you want to try street food - avoid meat until you become a little more experienced. Oh and one other thing - when ordering bottled water in a restaurant you will always be asked whether you want it cold or room temperature. Some people believe that cold water will give them a throat infection - and in fact drinking cold water can give you a stomach ache on a very hot day. At first I used to ask for cold water but now I usually request 'room temperature'. You will also be asked to touch the bottle to verify its temperature before it is poured (same goes for beer). Your neighbours/colleauges/friends will commonly eat Indian food with their right hand except for when dining out - when using a knife, fork and spoon is the norm. If you are eating at a traditional Indian eatery or a local establishment - expect that everyone will be eating with their hands. However, you can ask for a spoon or a fork - that's OK. In Mumbai or any of the other big cities - if you do touch your food with your left hand (as I do occasionally as I am left handed) - then you are unlikely to be frowned upon. If you were to go into a rural village - there is little chance of being given cutlery and you must eat with your right hand. Why all the fuss? The left hand is considered unclean as it is used for 'bathroom matters' (see 'Toilets' below). You should therefore not touch food or pass around objects with your left hand as it is considered the height of bad manners. Hand sanitisation: most expats when they arrive in India will be paranoid about germs - and rightly so. We all go through a phase of constantly sanitising with anti-bacterial gels and washing our hands. As you become used to the city, this will reduce somewhat although of course it's always wise to wash your hands before and after a meal (as is the Indian custom too). I always wash my hands after handling vegetables on the market as well. Western style toilets are the norm in places where expats are likely to hang out - at home, in hotels, restaurants and shopping malls. You will also find toilet paper widely available. However, you will see that there is a shower-head type thing next to all loos for those who still use the 'old' method of 'cleaning up' (ahem, the left hand). If you go into more traditional Indian homes, restaurants and places on your travels, you will inevitably come across the 'squatty loo'. Just do the best you can ;-) that's all I'm gonna say (and always carry extra toilet paper with you if you are travelling). Also bear in mind that India is a country where more people own mobile phones than have access to a proper toilet. If you are like me then you will find it very difficult to stand the intense heat and humidity of the city. It's worse after the monsoon (July-September) in the months of October and early November and in April and May just before the monsoon returns. In those months I tend to go from my air-conditioned apartment to my air-conditioned car to an air-conditioned office/shop/restaurant. You can end up living in a complete bubble! It's really not ideal to live in these kinds of conditions - try to keep a bowl of water in your bedroom if you intend to sleep with the AC on as we do - it will help keep your skin hydrated. Wear loose cotton or linen clothing, drinks loads of water and try to take exercise regularly. All the medicine you could ever need (except for possibly specialist prescriptions) is available at the many chemists that will dot your locality. What's more - medicines are really cheap here. Especially if you're OK with using generic brands. Painkillers such as aspirin and ibuprofen are a few rupees, you will always find the exact remedy for any type of sore through or cough and rehydration salts are also widely available. There are over 20 million people jostling alongside each other in Mumbai. At first, the sheer numbers of people can make you feel overwhelmed. People are everywhere and your personal space can end up being limited in public places. A majority of these people live on $2 a day or under...so always think yourself lucky. Approximately 60% of Mumbai's 20 million inhabitants live in slums. It is the first thing you see when you taxi on the runway and is pretty much all you see all the way through the city (along with all the rubbish). It's a fact of life and it doesn't mean that slum dwellers lack self respect, do not keep themselves and their homes clean or are not working to earn their keep. I recommend going on a Dharavi Slum tour when you can learn more about Mumbai's marginalised communities. It is also well documented and talked about - the children that you see at the traffic lights who knock on your window begging for a few rupees. Or the skinny families and naked babies that you see residing on the pavement with just a tarpaulin or a saree for shelter. It's gut wrenching and it's heart breaking. Try not to give money to beggars who knock on your car window because you can not be sure that they are not part of a begging ring where the money will end up with a Fagin type character at the head. Instead you can do as we do - if you have been to a Indian restaurant and have loads of food leftover - have the staff pack it up and give it to a family on your way home. It will be appreciated. Or go to one of the roadside 'soup kitchens' and donate 100 Rs - 10 people can be fed this way. These places can be found in Mahim and Bohri Mohalla. After 18 months in Mumbai I am still disturbed by the raggedy young kids I see dodging the traffic - but it's sad to say that I have also become inured to it. Such scenes can be very upsetting (and ones that I don't normally take photos of). Of course with all these people and a massive burgeoning middle class who are buying more and more cars, you can only expect that the traffic is going to be extremely bad. And Mumbai's existing infrastructure simply can not cope with it. The roads going into South Mumbai are permanently clogged with slow moving traffic and it can take a good 1.5 hours to get between Bandra and Fort during rush hour. More if there is a festival going on or if there has been an accident. You will see various initiatives underway across the city - such as the Metro and Monorail - but these have been years in the making; probably will not be ready for some time; and even when they are - will do little to reduce pressure on the roads. As an expat - you can end up spending a lot of time in the car so you should think about this (a lot!) when choosing which location to live in. A gap in the traffic? How strange! With huge numbers of vehicles on the road comes massive noise pollution. 'Sound Horn OK' is what you see on the back of every truck and so that's what drivers do - sound their horn - constantly. Indians seem to be totally immune to loud noises - it is part of their daily lives - but to us it can become too much, too quickly. Crossing the road can also be a challenge with all this traffic. The best thing to do is stick your hand out and cross, maintaining eye contact with the driver (or you'll be waiting all day!). Drivers are used to it and will slow down or stop. If unsure, follow the crowd - there's safety in numbers. Yes, Mumbai is full of rubbish. It's the second thing you notice (after the poverty) when you leave the airport and it's usually the last thing you see before turning off the street into your nice cosy apartment block. There's trash on the side of the road, trash on the beaches, trash in the slums, trash in parkland, trash everywhere! I am afraid to say that bins and the throwing of rubbish into bins is not a priority here. People have not been taught the importance of disposing of trash carefully - from the poorest of the poor to the richest of the rich. You are just as likely to see a crisp packet being thrown out of the window of a BMW as you will street children picking through rubbish dumps. The thing that keeps me going is that nothing goes to waste - everything is picked through and anything that can be recycled, is. Accept that if you're shopping where there are no fixed prices that you are going to be charged the 'White Mans Tax'. It is naturally assumed that us Westerners are absolutely loaded and should be charged 30-40% more for vegetables and trinkets alike. If you're buying veg from the market like we do - make friends with a vendor and show him loyalty - after a while you will see prices go down. Either that or get fluent in Hindi and know your veggie prices and you will be able to haggle! Pali Market - get ready to haggle! Similarly - expect to pay 'Foreigner' supplements to get into Museums, National Parks and other monuments. Even when you get your PAN number and become an Indian tax payer, you are not precluded from these fees. When you enter a large mall - such as Palladium or Phoenix Market City or even any of the department stores such as Shopper Stop and Reliance - you will have your bag checked by a security guard and a wand passed over you. Women have a separate entrance and are checked by female security guards. Ever since the attacks on Mumbai in 2008, the city has been much more security conscious - although I find that the checks are usually only cursory. When you pull up at any of the big hotels in Mumbai (and across the country) the car will be checked over - the boot, the glove compartment and sometimes they will check underneath with a mirror. You will also have your handbag scanned before entering the hotel lobby. Security at the airport can drive you insane. When passing through an Indian airport - you will have your passport checked at least three times and your bags scanned two to three times. With hand baggage - you will receive a label for each one at the time of check in - you must make sure that these are stamped by the security guy once it has been passed through the scanner or you will not be allowed on the plane. If you are a foreigner with fair hair and pale skin you will be stared at in public places - such as tourist hot spots, trains and buses. The level of hassle will increase for you I am sorry to say! Many locals are just not used to seeing westerners and will find the sight of you (and particularly small, blond children) extremely novel. If you are travelling in India, you are likely to have people come up to you and ask to have their photo taken with you - usually on a camera phone. Fair skinned girls should be aware of groups of boys following them around monuments - as happened to a couple of my friends - in an attempt to get a photo. Sometimes one of the group will come up alongside you and the others will pretend to take his photo when they are actually trying to snap you. People are usually friendly and unthreatening but it can also turn into a nasty game...so just be on your guard. People may like to take photos of you....but I like to take photos of them! If you go into a store it is normal for one of the staff to latch on to you and follow you around. I am not sure if it is because they are on commission or if it is because they think they are providing you with a certain level of service - but it's a real PAIN! And whilst they are following you around, they will often also point out the obvious - 'this is a kurta'; 'this is a pencil'; 'this is blue (and we have it in red)'. If you are not a diminutive size 6 Indian lady, they will often say 'we have that in big size madam' (or in my case 'wery wery big size madam'). Don't take offence - they are usually referring to your height not your girth! On the positive side - there is simply nothing that can not be sourced or made in India and small shop keepers will go out of their way to help you. It always amazes me what can be purchased at the tiny hardware shop on Pali market - from mops to car vacuums to woks and salad spinners - ask for it and it will materialise! (And of course anything can be delivered right to your front door should you so desire it). There is also a raft of Indianisms that people working in offices should get to know. Phrases such as 'prepone a meeting' (ie bring it forward) or 'do the needful' (do as requested when neither party has a clue how to get it done!) or 'having doubts' (having questions about something). You can find more such Indianisms here. Getting things done quickly (or at all) in India can be a challenge to people coming from efficient economies. And it's something that you must get used to. 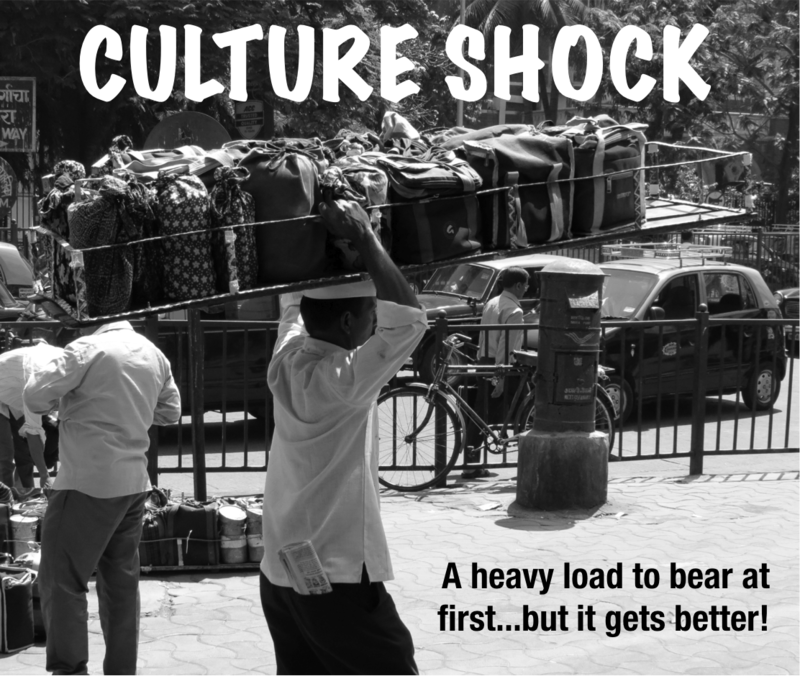 A Service Culture, India is not! Finding quality workmanship and a promise to complete work right away - or waiting in for endless hours for service personnel can wind up the most laid back of people. People working in offices and NGOs will also find the bureaucracy mind boggling - every step of opening and running a business or charity involves endless paperwork and approvals. It can be enough to get you down. However, the locals that you work with will have plenty of experience and patience - so I suggest heavy delegation as the way forward! Us expats exist on recommendations from others for good plumbers, carpenters, maids, doctors, grocers etc etc. Make sure you join up with one of the groups mentioned here in order to find the best information about who does what well in Mumbai. Well that's all I can think of for now. I am sure there are many more ways in which India can culturally shock you! Any expats reading this - please feel free to leave further suggestions/experiences. I read this post with interest and learned a lot. I live in California and have no plans to move to India but find your posts fascinating. On my blog I am giving away a copy of the book I co-authored about Christmas. Thanks Terra - and good luck with that book although suspect it would get lost in the post to India! I always tell foreigners not to pay the children begging for anything from money, pens, biscuits, etc. Giving them food is fine. "One Photo Please" is the common request from young males usually asking foreigner females for a picture with them and sometimes they become difficult to get away from so avoid them at all costs. Or like you mentioned they will send one of the group close to you as if they are clicking him when actually they are clicking you!!! Highly avoidable!!! I think, regarding the "white tax" thing :-), I could be wrong but I think it has a lot to do with being a non-local to that area. You will find this to be prevalent all over India. I have lived in Bangalore and being from hindi heartland :-) I couldn't speak the local language. The street vendors would get that in no time and hence would charge extra :-). Even in my town where I live now, the taxi drivers (especially the ones near auto stands, the local ones know that I am a local) would ask me to pay more than double of what would be a regular fare. And then I would have to tell them that bhaiya I know this place is this much kilometers from here and I know the fare :-). However at night time we still have to pay nearly double of what would be the regular fare but that is another issue. Also regarding the heritage sites, I read it somewhere which I cannot recall and I could again be wrong, but whatever money you have to pay as entrance fee or in whatever form, that money directly goes for the preservation and maintainance of that site. It doesn't go to the govt. And both Indians and Non-Indians have to pay the same amount, but the Indian govt. subsidizes either a part or full of that amount on behalf of Indians. Hello! Thank you so much for writing what must be the longest comment BombayJules has ever received! It's so nice when people take time out to actually explain this to us bewildered foreigners. Well yes I agree about the white tax but the thing is - even though in terms of what we pay back home it is is less and yes, hopefully foreigner payments are going to the upkeep of historic sites and national park - the fact is that it becomes a principal thing. My husband has a PAN card because he is a tax payer here - he pays a lot of tax and still gets charged the higher rates of entry. We also patronise the same guys on the market and recommend our friends and we just want to be shown respect. But I know how we contrast with them and I shouldn't quibble (and usually don't I always walk away unless someone is being ridiculous). Anyway, I am sure it's not just foreigners - but the burgeoning middle and upper classes of India - at least they have the ability to haggle and argue...i do not!